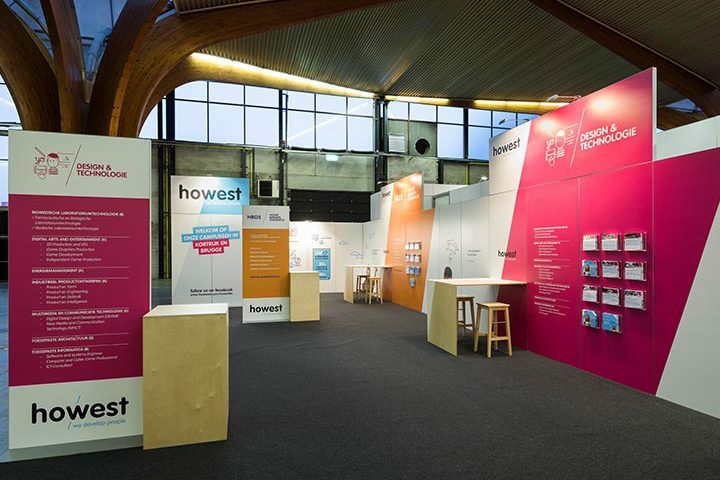 Dazzle Events and Howest are inseparable when it comes to a booth at SID-In. For the fourth time already, Howest counts on Dazzle Events. The first collaboration, Dazzle Events took care of building and disassembling the stand. In 2017, for the third time the event agency looked after the entire concept development and logistics. 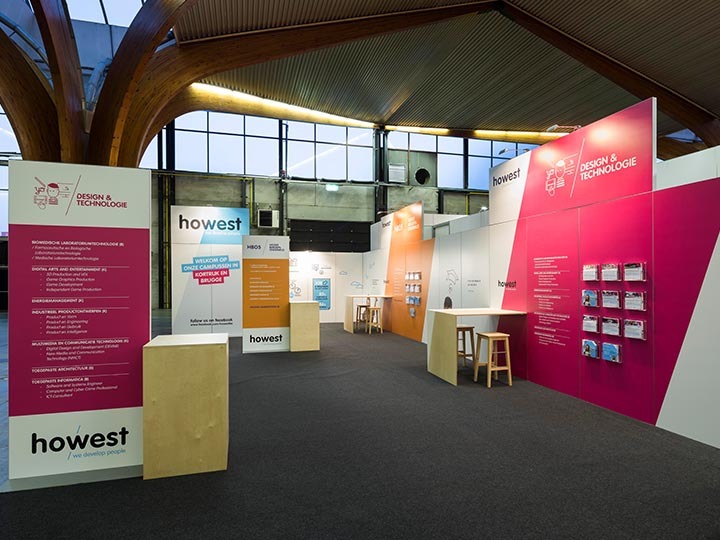 The kind of collaboration that has grown into a pleasant long term partnership in which Howest and Dazzle Events are committed in a three-year contract. Every edition, both partners inject innovations and investments, highly appreciated by Kim De Gruyter, Howest communication and PR manager: “Dazzle Events always goes the extra mile. The team sets out to understand the client, to come up with solutions together. They guarantee a professional and efficient approach. Thanks to their creative and technical know-how, any client can sleep with their eyes closed.” Thanks to being a one-stop-shop and their excellent service levels, Dazzle Events in fact orbits the conventional stand builder. By investing knowledge and time, we continuously aim for a carefree trade fair presence.